Every once in a while, I see love of an owner of a pet go well beyond what I’m capable of…and this would have to be one of those times. 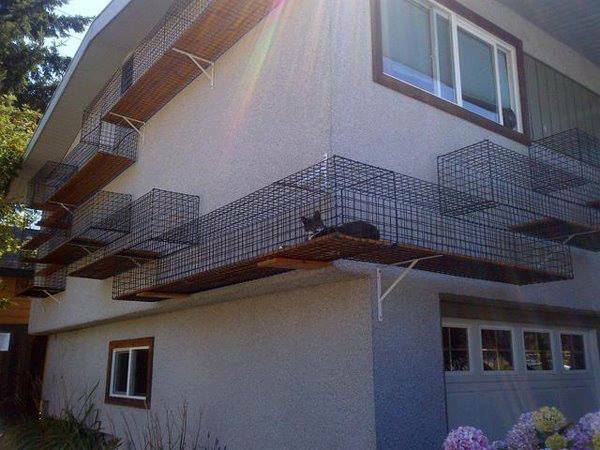 This cat walk would surely eliminate some of the issues involved in the care of a cat, but I’m not sure if I’d actually recommend a client to do this. Actually, I know that I wouldn’t. What do you think of this catwalk?